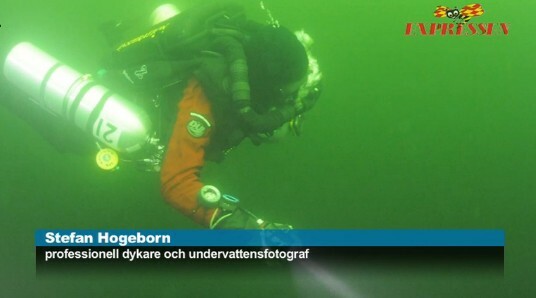 Only a few minutes ago a Swedish newspaper released a video supposedly showing the first pictures of the Baltic Anomaly. 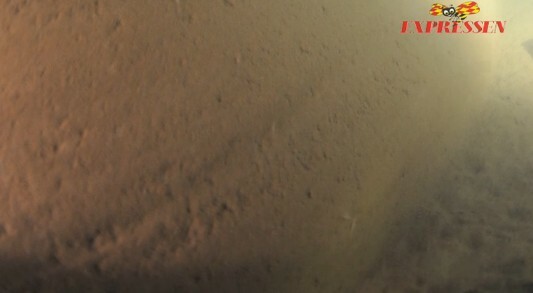 As you will see the pictures bear almost zero resemblance to the sonar imagery. Here is a comparison of the sonar images and what we are told is the anomaly. Remember that the anomaly is 60 metres accross. The circle of stones in the comparison picture, as is obvious to anyone is only about 10 metres at most and where did all the straight lines and edges go? Full report to follow but in the meantime here are some stills from the video. These are quite clearly not the same object regardless of imperfections in the sonar. This whole thing gets more bizarre every time something new comes out, I am at a TOTAL LOSS for words and extremely confused. Thanks Craig, great piece as usual. COVERUP! Or they need new sonar(doubtful)! BS! to sell this “new pictures” as the facts is an insult to the intelligence of all people following this! Everyone can see it is not anything like the sonar pictures before, no resemblance at all! NOT the same location either. It got squelched and suppressed again, as usually! UFOs are then labeled ´swamp gas´or mass hallucination – we know this kind of misleading tactics! Do not think we are stupid! IF there was something (or still is) which we are not supposed to see, it has been removed or they just feed us wrong footage and try to play it down – period! Do not buy into that. Since the brave O.X Team is not independent and obviously kept silenced by those who are calling the shots, we will not get the real data. 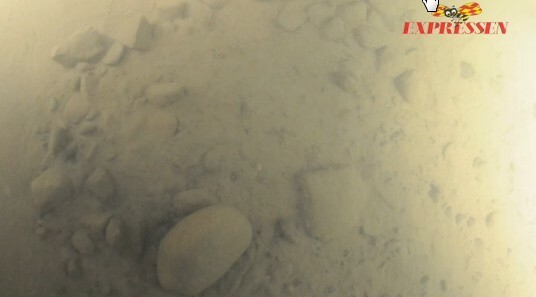 They are NOT claiming that the rocks pictured form the so-called “object”, they are saying that this round circle of stones (a few decimeters in diameter each) was on TOP of the larger formation. The edge of the larger formation is seen in the following shots as a smooth curved surface that they are swimming alongside. They brought chisels and chipped off a few pieces from the main “object”. It was made out of rock, probably sandstone. 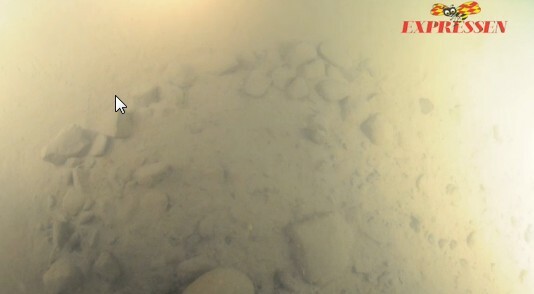 The pieces they retrieved will be analyzed and dated. Presumably it’s a smoothly eroded face of paleozoic sandstone. This sand stone is a common feature in the Åland area (also one of the reasons that the Åland area is the only area in Finland were fossils are readily found). Personally I am not really sure what to think at this stage. I sort of expect it to be some thing mundane but then why all the secrecy if it is just a geological formation? It has been more or less confirmed on Swedish discussion forums that Titan Television AB has coerced participants to withhold certain crucial bits of information due to the planned television release. I might as well throw in another detail pertaining to my earlier comment. One of the things that the guys found interesting was the charred look of some of the smaller rocks that make up the “fireplace”, on top of the larger formation. 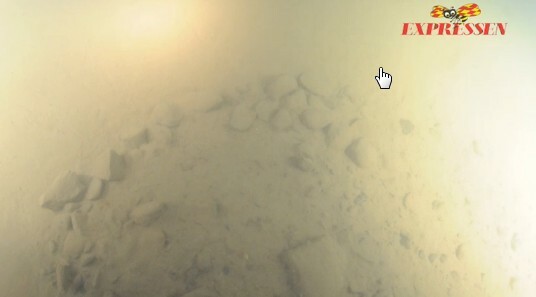 Moreover, they describe the larger formation as not being one single rock face but rather a very tight formation of a few similar large objects rising above the seafloor. These are described as being smooth, with obvious longitudinal ridges and “edges” near the seafloor. One is also said to be sporting a prominent oval hole/depression. Samples have been chipped off and brought back for further study, as I pointed out before. 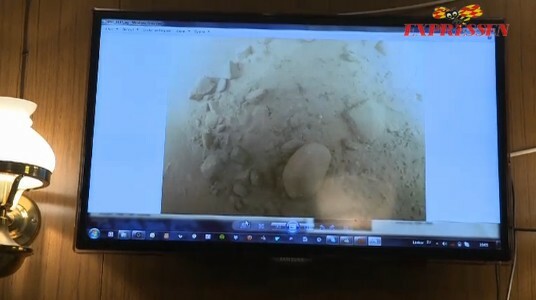 A marine geologist evaluated the findings so far and told media that he strongly suspected a sandstone formation. This echoes other independent assessments. I think this is something pre flood era. Look at Yamaguchi and tell me this is not man made. I’m not aware on even if the Baltic Sea was above water like other man made looking structures but it very well could be with this charring statement. Considering the wait for updates and then the confusion and so very little information given to the media. I still think they are hiding something because this is to much attention for sandstone. Probably a early civilization that we have not found yet. I think you may be onto something Keira. What bothers me are the sonar Images, I am trying to find out if this type of sonar has sensitivity to range beyond natural structure and we are seeing what the object contains inside?????? Thoughts anyone or knowledge of the sensitivity of the sonar? This article really tries hard to misunderstand and insinuate. The small circle of rocks is one of several such circles (resembling “fireplaces”) placed on top of the big round “blob”. They say so in the video but you’d probably need to understand Swedish to know that. So it’s NOT a coverup. I would suggest that if a USO (underwater submerged object) has been down long enough, coaral and other similiar organism deposits would likely entirely cover the object. Given enough time general sediment buildup can form rock. Could this be why sonar images differ from outward apparences? Something smells rotten here, have they released a actual depth and “object’s” diameter? 1. The term “background radiation” is an average, not some kind of global standard value. Thus you will find spots that will be say 5 or 10 times “background radiation” pretty much everywhere (try walking around in your own garden with a Geiger counter…). Some areas will even give you values of a 100 times background radiation, completely naturally. 2. The Baltic Sea is one of the most radioactive seas in the world. 3. The steel in the anchor is mildly radioactive from scratch. An anchor that on top of that has been in contact with sediment on the seafloor will most definitely radiate significantly more. 4. The units they used to describe this radiation, mSv, is total nonsense in that context. Sievert measures dose-equivalent and is entirely dependent on a time factor. 5. The spot they “measured” was miles away from where the find was located. With this in mind, it only seems to be a cheap attempt to mystify the whole thing. At no point did we see anything even remotely similar to a serious investigation into the radioactivity matter. As they went down there again multiple times, they probably knew all along that this was of zero significance. And now the story is that it’s “magnetic”, however this is false. Hogeborn LIKENED it to being magnetic as the formation was surrounded by smaller rocks (including the ones on top of it), as if it had attracted them. Yet another statement that only serves to confuse. This is a pile of sand and rocks it is not a fossilized alien space rock ship. Probably at first there may have ben something of interest, something that does not fit into mainstream science. Even if the whole thing were real all the government would have to do is stifle the researchers holding guns to their families heads if that is what it took and then a little from the propoganda machine and masses of fools will be satisfied with the false info. the problem is there is a claim by the researchers who discovered the ufo, remember they were kind enough to share their images with the world, the claim is a 2nd TRACK a 2nd UFO OBJECT. the problem is the governments and military cover up the truth. there is no way to know what is going on with this site. no way to know. 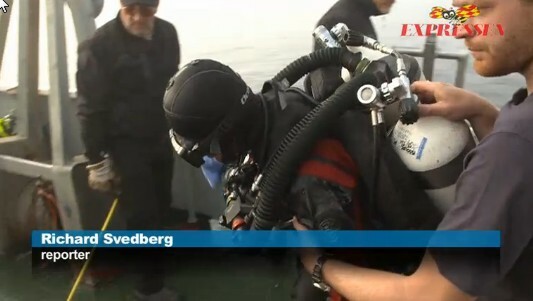 and we cannot expect these men who search treasure or shipwrecks to be responsible to resist governments and military. thank you researchers for showing us what you do know….i am derrufo konepke on google plus…or google the word derrufo.